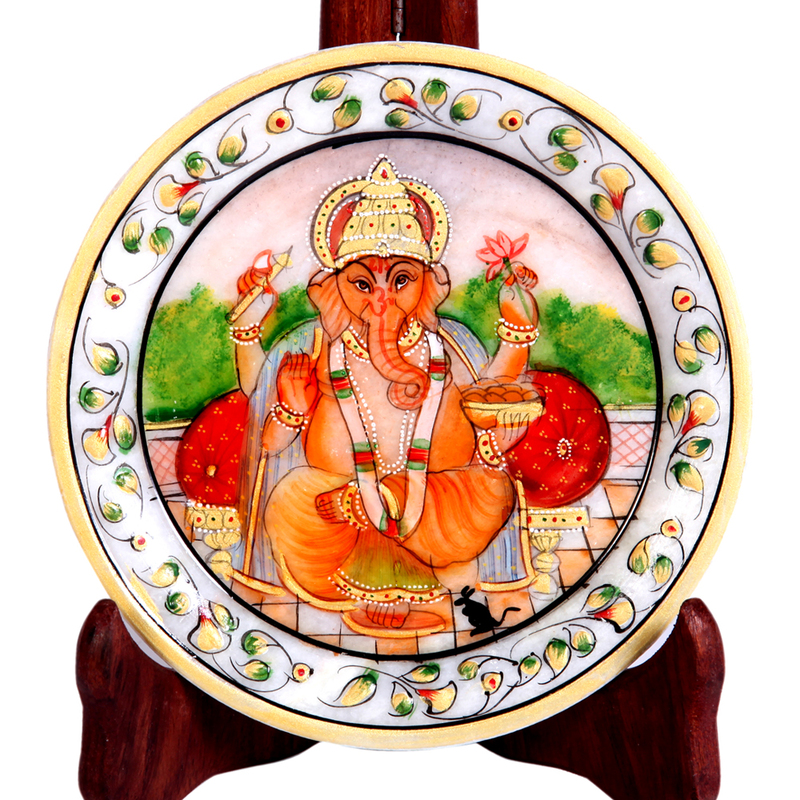 The Decorative Marble Plate with Ganesh Figure is sure to make for a mesmerizing addition to any wall décor with the exquisite painting of Lord Read More..Ganesh at its center. This alone makes it highly desirable among the ardent devotees of Lord Ganesh for driving away evil and ushering peace and prosperity into the household. Moreover, the presence of the intricate floral design all along the border region of this marble plate adds to its visual appeal, and makes it aesthetically suitable to add to the visual splendor of wall décor of any house it adorns. Show Less..